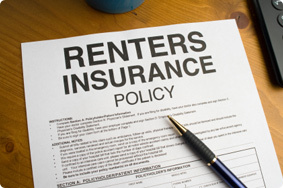 LIt's estimated that less than half of apartment renters have renter's insurance. A lot of people don't know that they need it (check your state and local codes to find out more about what your landlord is resposible for). Your landlord's policy doesn't usually cover you if your belongings are damaged within your own home or apartment, even if it was the result of damage to the building. Nor does your landlord's insurance reimburse you for losses after a robbery. Ditto for medical costs if you or someone you know gets injured within your home or apartment. And if your dwelling is damaged to the point that it's uninhabitable and you need to stay somewhere else temporarily, don't expect the landlord to reimburse you for the cost of temporary lodgings. This is why you need renter's insurance. Even if you have only a modest amount of personal effects, replacing them can get expensive if you lose everything at the same time, like in the case of a robbery or fire. If you work from home, not having renter's insurance is exponentially riskier. There's simply no good reason not to have renter's insurance. It's pretty cheap compared to other types of coverage. Basic renter's insurance policies cost less than $10 a month. Compare that to the amount of money it would cost to replace your home entertainment system, and already renter's insurance looks like quite the bargain. If you're still not convinced of how valuable renter's insurance is, think about how much money all of your personal belongings are worth. That's part of the first step you'll take in shopping for renter's insurance: Creating an inventory of your possessions. While it might sound daunting, I've made it easier for you with a checklist for tallying up the value of your personal effects. 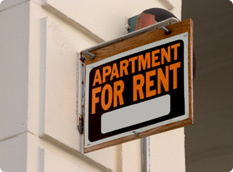 The checklist will help guide you through the process of applying for renter's insurance. When you communicate with insurers, they'll most likely quote you prices in terms of annual premiums. That's different from other types of insurance, which have monthly fees. It's often more cost effective for insurers to charge renters annually, rather than monthly, so when you opt to pay for it a year at a time the savings get passed on to you. You'll be asked to choose between renter's insurance that reimburses you for what it would cost to replace an item with a new purchase versus reimbursement for the current value of your property with depreciation factored in. It costs more to buy the former type of renter's insurance, but the difference in pricing is usually small. There are much greater variations in pricing based on the size of the deductible. The lower the deductible, the higher the cost of the insurance policy. You need to decide what your priorities are: Do you want minimal coverage that would only take care of emergency situations, or do you not want to have to pay a single dime of deductible? How about the middle ground, where you have a modest premium and a modest deductible? Another pricing variation has to do with certain high-value items, like jewelry, antiques and artwork. Sometimes they are covered only up to a certain specified amount, and if that ceiling turns out to be less than your belongings are worth, you might want to consider buying extra coverage. The more value covered, the higher the premiums usually become. But the extra amount should still seem affordable, since renter's insurance has a lower range of prices to begin with. Valuing the contents of your rented home may seem like busywork at first, but the effort will really pay off: You'll know exactly how much insurance you need to buy, and then be able to price and compare policies with relative ease. Then once you find the right policy, apply for it and begin coverage, you'll be able to rest easy knowing you're protected against potential losses.